I'm Martin Kleppmann — researcher, software engineer, entrepreneur, author and speaker. I am a researcher in distributed systems at the University of Cambridge Department of Computer Science and Technology. 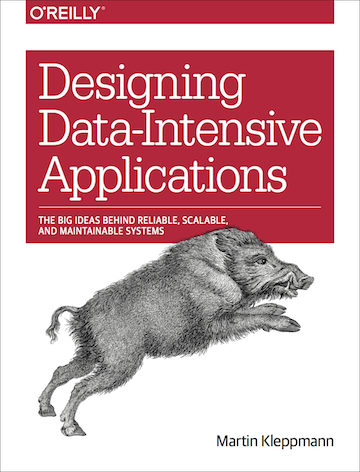 In 2017 I published a book for O'Reilly, called Designing Data-Intensive Applications. In my past startup life I co-founded Rapportive (acquired by LinkedIn in 2012) and Go Test It (acquired by Red Gate Software in 2009). I care about making stuff that people want, great people, a culture of respect and empathy, clarity of thinking, marvellous user experiences, maintainable code and scalable architectures. I'd love to hear from you, so please leave comments, or feel free to contact me directly. Things I have written recently. Older articles that have remained popular. Events where I will be speaking or have spoken. Martin Kleppmann: “Designing Data-Intensive Applications”. O’Reilly Media, March 2017. Stephan A. Kollmann, Martin Kleppmann, and Alastair R. Beresford: “Snapdoc: Authenticated snapshots with history privacy in peer-to-peer collaborative editing”. Proceedings on Privacy Enhancing Technologies (PoPETS), Vol. 2019, Issue 3, July 2019. Diana A. Vasile, Martin Kleppmann, Daniel R. Thomas, and Alastair R. Beresford: “Ghost trace on the wire? Using key evidence for informed decisions”. 27th International Workshop on Security Protocols, April 2019. Martin Kleppmann, Victor B. F. Gomes, Dominic P. Mulligan, and Alastair R. Beresford: “Interleaving anomalies in collaborative text editors”. 6th Workshop on Principles and Practice of Consistency for Distributed Data (PaPoC), March 2019. Martin Kleppmann, Victor B. F. Gomes, Dominic P. Mulligan, and Alastair R. Beresford: “OpSets: Sequential Specifications for Replicated Datatypes (Extended Version)”. arXiv:1805.04263 [cs.DC], May 2018. Martin Kleppmann, Victor B. F. Gomes, Dominic P. Mulligan, and Alastair R. Beresford: “OpSets: Sequential Specifications for Replicated Datatypes (Proof Document)”. Archive of Formal Proofs, May 2018. Victor B. F. Gomes, Martin Kleppmann, Dominic P. Mulligan, and Alastair R. Beresford: “A framework for establishing Strong Eventual Consistency for Conflict-free Replicated Datatypes”. Archive of Formal Proofs, July 2017. Alistair R Beresford and Martin Kleppmann: “Data Governance and Modern Computer Systems”. British Academy and Royal Society workshop on the governance of data and its uses, July 2016. Martin Kleppmann: “Making Sense of Stream Processing”. O’Reilly Media, May 2016. Martin Kleppmann and Jay Kreps: “Kafka, Samza and the Unix philosophy of distributed data”. IEEE Data Engineering Bulletin 38(4):4–14, December 2015. Martin Kleppmann: “A critique of the CAP theorem”. arXiv:1509.05393 [cs.DC], September 2015.